Don’t let anything hamper your promotional game’s speed! Try our all new Callaway 6-Ball Valuables Pouch made out of black velour material to offer soft feel. 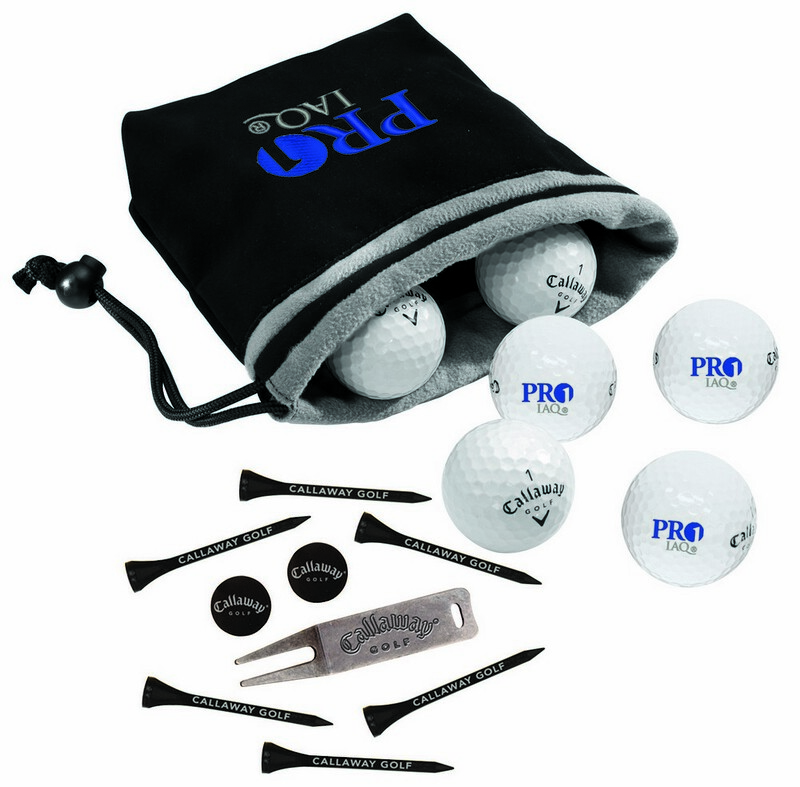 This pouch comes with six imprinted Callaway golf balls, six 2 ¾” tees and one divot repair tool to enhance any casual or frequent golfer’s performance on the course. With a soft lining, this pouch ensures that your valuables are kept secure and protected from any damage during your tournaments and outings. Perfect for promotional campaigns, this product offers a lot of space to imprint your company logo or name for increased brand visibility and recognition.